Any Video Converter is an effective MPEG2 conversion tool. With this professional MPEG2 converter, you can not only convert SD videos ( AVI, MPEG, WMV, ASF, RM, RMVB, FLV, 3GP, etc) to MPEG2 videos, but also convert HD videos (QuickTime HD videos, MTS, M2TS, MOD, TS, TP, MOD, MKV) to MPEG-2 HD videos with ease! If you want to output MPEG2 video files with different resolutions, bitrate, sample rate and quality, you may find Any Video Converter is the very mpeg2 converter you want, with which you can freely trim a large file by clipping tool, customize the output file parameters, extract the audio from video files, and adjust video effects. Download MPEG2 Converter for a free trial now! If you are running Mac system, you can get Mac version for this MPEG-2 Video Converter -- Any Video Converter Ultimate for Mac. It is the best video converter to converts video file formats between AVI, MP4, MOV, MPEG, 3GP, ASF, FLV etc you desired. So it will performs the best avi converter, 3gp converter, mp4 converter for Mac users and so on. Besides, it also features the functions as Video Converter, DVD Ripper, DVD Creator, YouTube Downloader, Screen Recorder, iPod Manager, Video Editor and Audio Extractor. Convert videos to MPEG2 for burning to VCD/DVD disc! Besides supporting popular video formats, it features supporting QuickTime HD videos, MTS, M2TS, MOD, TS, TP, MOD, MKV videos which discriminates it from other video converters. It can convert MPEG2 or any videos to MP4 compatible with almost all popular portable media players, cell phones, PDAs like iPod, iPhone, Apple TV, Zune, PSP, and other video players and audio players. 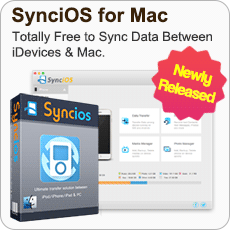 * After converted MPEG-2 videos to MP4 format, you can simply use Syncios to transfer the video files to your iPhone/iPad/iPod freely and easily. You can select different output resolutions including 128×96, 176×144, 352×240, 480×272, 480×480, 480×576, 640×480, 720×480, 720×576, 704×576, 1080x720, 1280x720, 1440x1080, 1920x1080, etc. from the frame size option. Any Video Converter can convert AVI to MPEG2 format. Armed with an user-friendly interface and fast speed, it makes AVI to MPEG2 conversion process quite simple. If you are a newbie, you only need to add AVI files; choose MPEG2 output profile from the top right window; and click "CONVERT" button. If you are an expert on video, Any Video Converter also provides variable options to control the specification and quality of output video files. The variable options including video codec, audio codec, video size, bitrate, Audio Samples, NTSC/PAL, frame rate, etc. Any Video Converter is an expert and easy-to-used MP4 to MPEG2 Video converter which has the ability to convert MP4 video files into MPEG-1, MPEG-2, MPEG-4, MP3 Audio, M4A Audio and various other video formats. It supports converting among MPG, WMV, MP4, 3GP, MOV, RM, PSP Video, iPod Video, VOB and extracting audio from video file and converting to MP3, WAV, AC3, WMA, M4A, OGG, AAC etc. Its standards-based encoding algorithm ensures that videos you create have best quality. Any Video Converter is a useful QuickTime to MPEG2 Converter that can convert QuickTime MOV, QT, MP4 and M4V files to MPEG2 DVD formats. With Any Video Converter, you can even convert QuickTime HD MOV files to MPEG2 files that are ready to burn to a DVD. Plus, you can convert other High-Definition video formats including HD AVI, H.264/AVC, HD MPEG4 TS, HD MPEG2 TS, HD WMV, HD, and also AVCHD(.mts, .m2ts) to HD MPEG2. 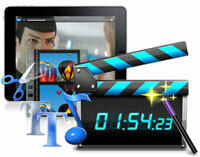 The program uses fast encoding and decoding system to ease your realmedia conversion jobs. Any DVD Converter is an easy-to-use dvd ripping tool with high ripping speed. It can backup your favorite DVD movie into almost all popular video formats such as converting DVD to MPEG2, MPEG1, MPEG4, AVI, WMV, iPod, MP4, WMV, FLV, etc. Compare with other DVD to MPEG2 converters, Any DVD Converter has more settings you can customize and it is easier than ever. Whatever you are a veteran or a beginner, you will feel it's developed for you! It provides you with excellent image/sound quality and smaller file size just in a few clicks. Download DVD to MPEG2 Converter free for trial now! Any Video Converter is the easiest and most powerful FLV to MPEG2 Converter, which not only helps you to grab the videos from YouTube and Google Video with its built-in downloader, but also enables you to convert FLV to MPEG2 or whatever format you want. Besides, this handy FLV to MPEG2 Converter also offers HD video converting feature, which allows you to convert YouTube HD mp4 videos (720p and 1080p) to HD MPEG2 videos, and other popular video formats including AVI, WMV, 3GP, MKV, SWF, etc. Any Video Converter is your best choice! MPEG-2 (Motion Picture Experts Group - 2) is a compression standard for digital television. MPEG-2 compression enables digital television broadcasters to transmit video streams with higher resolution and audio streams with higher quality sound while using as little bandwidth as possible. When used on a standard DVD, it offers good picture quality and supports widescreen. MPEG-2 is capable of reducing the amount of bandwidth utilized by as much as 55 to 1. The MPEG-2 format can be used on HD-DVD and Blu-ray discs. 2. 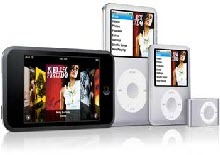 How to Convert iTunes DRM M4V to MPEG-2? iTunes videos are encoded as M4V files, which are tightly protected by Apple FairPlay DRM. The DRM-ed M4V videos are limited from playing on non-Apple devices and sharing online with your friends. 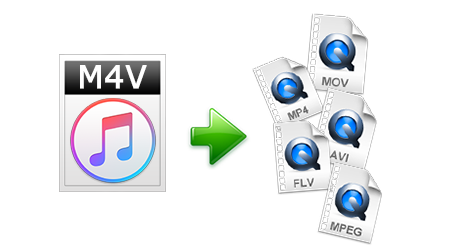 To free iTunes videos from any restriction, you can convert the M4V videos to plain video format, such as MPEG-2. To convert M4V videos to MPEG-2 format, you can seek help from the reliable and easy-to-use NoteBurner M4V to MPEG Converter (For Mac & For Windows) which is a professional and powerful M4V Video Converter. It can convert m4v videos not only to MPEG-2 formats, but to MP4, MOV, AVI, WMV, MP3, AAC, ect.